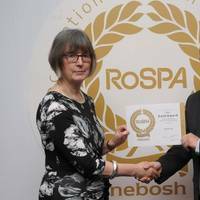 CWind, a provider of services to the offshore wind industry, has once again won the RoSPA Occupational Health and Safety Gold Award. The Gold award in the annual scheme run by the Royal Society for the Prevention of Accidents (RoSPA) recognizes the company’s approach and commitment to occupational health and safety, achieving high levels of compliance and ensuring above average safety performance. It not only looks at accident records, but also at the entrants’ overarching Health and Safety Management Systems, including important practices such as strong leadership and workforce involvement. David Rawlins, RoSPA’s awards manager, said, “The RoSPA Awards encourage improvement in occupational health and safety management. 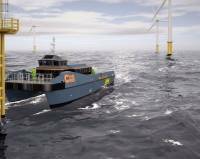 CTruk has won an order for two more of its 22m multi-purpose catamaran Wind Farm Service Vessels (WFSVs). Both will be delivered to offshore wind service supplier CWind this summer as the first-of-class CWind Sword continues to impress on the EnBW Baltic 2 Offshore Wind Farm in Germany. Peter Jorgensen, CWind managing director, commented on CWind Sword’s performance: “CTruk’s 22m WFSV has proven to be a valuable addition to the CWind fleet, particularly from a passenger comfort perspective. 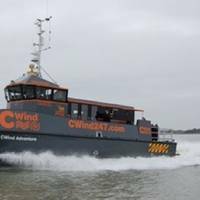 CWind, a provider of services to the offshore wind industry, has placed an order for four new crew transfer vessels from Aluminium Marine Consultants (AMC), a shipbuilding and consulting company based on the Isle of Wight. The order consists of two 23m aluminum catamarans and two 26m aluminum catamarans. CWind currently manages a fleet of 22 dedicated offshore wind crew transfer vessels but this is the first time the company has ordered aluminum vessels. 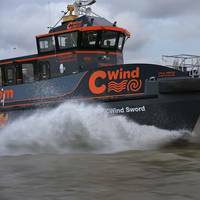 Peter Jorgensen, Managing Director CWind, commented on the addition to the CWind fleet: "The new larger vessels will boost our fleet’s capability and thus enhance our ability to serve our clients’ requirements. CWind has secured its third temporary power supply project in German waters. CWind is providing an integrated solution that includes the project management, rental of generators, the servicing, maintenance and refueling as well as the specialist workboat required at Borkum Riffgrund Offshore Wind Farm, which is in the final stages of construction. In December 2014, CWind responded to an urgent customer need and mobilized a team on site in less than two weeks. Peter Jorgensen, Managing Director at CWind commented on the integrated services being provided, “Being able to continue operations on site is crucial at any stage in the construction of an offshore wind farm. CWind announced the launch of its wholly-owned subsidiary in Germany. CWind Germany will be headquartered in Hamburg and will be responsible for the sales and marketing of CWind’s services in Germany. The company has also said it has won the license to lease employees under German law, known in Germany as ‘Arbeitnehmerüberlassungslizenz’ and is now in a position to lease employees as third party technicians to German client companies. CWind is building a leading position in the U.K. and Germany and is looking at opportunities to further expand its footprint in the region. CWind, a provider of services to the offshore wind industry, have signed a three-year contract to provide crew and equipment transfer for DONG Energy and Scottish Power at the West of Duddon Sands offshore wind farm. The contract, which includes an optional extension for a further two-year period, is valued to CWind at £5.5 million. The Lieutenant P, the first of four CWind vessels to serve at West of Duddon Sands offshore wind farm this year, is already working on site. She is one of three CWind 20T MPCs scheduled to work on site, which later this year, will be joined by the newest addition to the CWind fleet, the CWhisper 20m SWATH. Offshore wind solutions provider CWind’s successful boat share scheme has to date attracted investment from different groups within the maritime community, with commercial fishermen and superyacht skippers among current partners. Now, a group of three ex-Royal Marines is set to invest, in partnership with CWind, in the next generation of offshore wind support vessel (OWSV) design, the CTruk EVOC22. Matthew Lane, Lee Price and Matt Woodley share a collective 35 years’ service in the Royal Marine Corps. 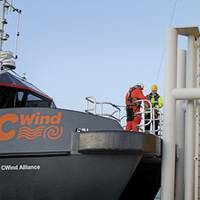 CWind, a provider of services to the offshore wind industry, is expanding its services in the operations and maintenance phase of offshore wind farms. 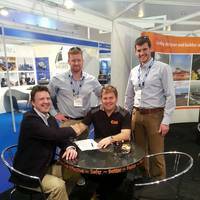 The company, which has supported the construction of close to 20 offshore wind farms over the last four years, has announced the appointment of Tim Smith as Sales Manager. 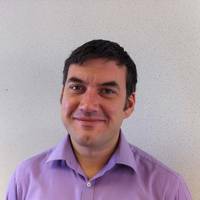 Mr Smith joins CWind from Fendercare Marine, part of James Fisher and Sons plc, where he held the position of Business Development Manager for the past four years. Essex-based CTruk boats began the build of a new wind farm support vessel. As offshore wind farms move further out to sea, demands made on support vessels are changing. CTruk Boats recently initiated the build of a 50-ton payload support vessel designed to meet the tougher requirements of the next phase. Powered by four Cummins 610hp engines and Rolls-Royce waterjets, the first CTruk 50T will join sister company CWind’s charter fleet. CWind MD Peter Jorgensen commented, "A 28m CTruk 50T will mean we can do even more for wind farms further offshore. Offshore wind service and solutions company CWind, welcomes Sir Tim McClement KCB OBE to the board of directors. 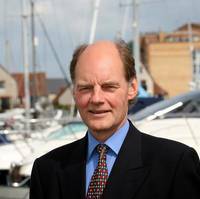 Sir Tim joins CWind as a non-executive board director with a specific interest in fleet management and operations, supporting Ralph Jensen, the manager of CWind’s charter fleet. He brings insights plus marine and management expertise gained not only from a distinguished 35 year naval career culminating in running the Royal Navy’s front line operations as Deputy Commander-in-Chief Fleet, but also from commercial interests since then.